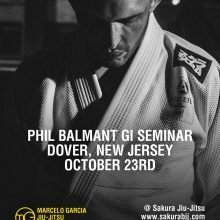 Pre Registration for Phil Balmant’s Seminar at Sakura Jiu Jitsu is now live! Only $65 now till September 30th. It will then go to $75 in October so register now! Click on Pay Pal link below.